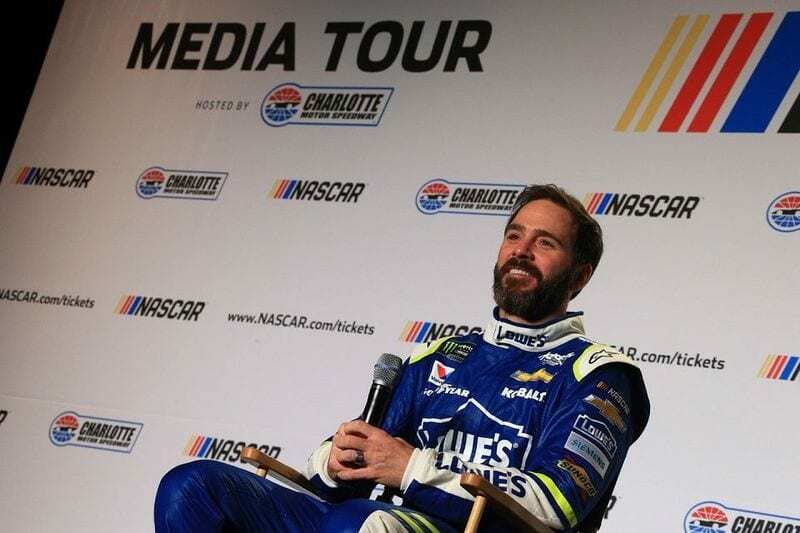 The second of a three-part series of feature articles on media coverage in NASCAR. A peak, behind the scenes of one of the most popular sports on social media. Following up on the story we brought to you last month about NASCAR Behind the Scenes: Media Coverage. This second part of the series will feature more of the interesting personalities that cover the NASCAR circuit on a weekly basis. From mainstream media to an award-winning newspaper editor. The hardest working woman in all of NASCAR to a NASCAR employee that orchestrates the media center press conferences. Take a peek at the people who report the stories that emerge from racetracks on the Cup Circuit. Everyone at the track knows Bob. It doesn’t hurt that he works for the Worldwide Leader in Sports. 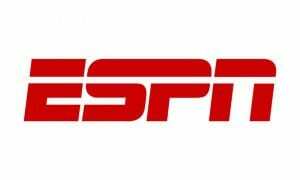 For 28 years, ESPN and NASCAR were essentially corporate partners. Live telecasts of weekly races helped build the sport and the network. While the live telecast contract has now moved on to Fox and NBC, Bob reports for ESPN on everything NASCAR. Bob has been covering NASCAR since 1991 when he was a reporter for the Daytona Beach News-Journal. After leaving the News-Journal Bob worked at NASCAR Scene and was the NASCAR beat writer for The Sporting News. Honored in 2009 and 2013 as Writer of the Year by the National Motorsports Press Association. He has received various journalistic awards during the course of his career. Bob joined ESPN in 2015. No stranger to social media, Bob has 124,000 followers on Twitter. Bob explains, “People these days have very little discretionary time and often limited discretionary income. 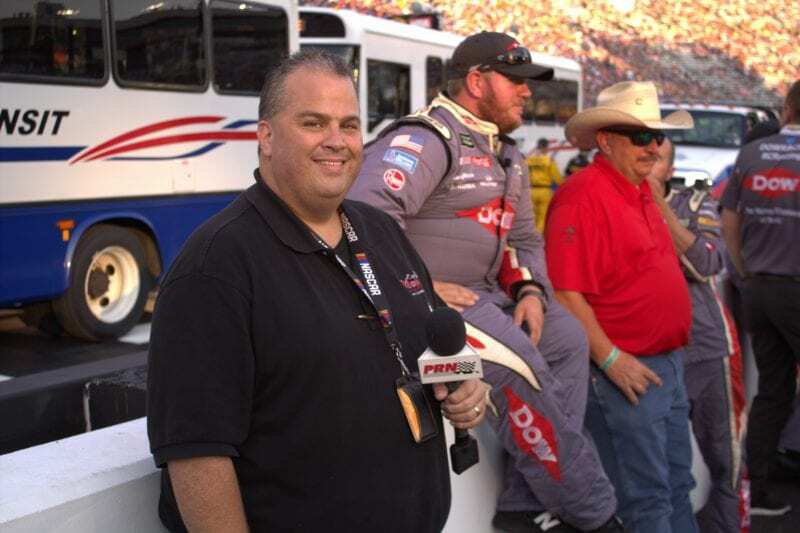 By giving people as much information as possible they can make the decision on how they spend that time and hard-earned income.” Like most journalists that cover NASCAR, Bob strives to expose as many people as possible to the sport we love. Having earned the respect of his peers and the media reps at the tracks, Bob always has a seat up front in the media centers and is one of the first to be offered the opportunity to ask press conference questions. Do you want to meet a true media professional? 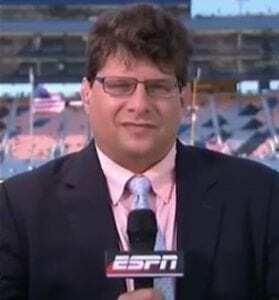 Jerry Jordan is probably the most experienced investigative reporter covering NASCAR. He is certainly one of the most interesting individuals you can strike up a conversation with at the track. From 1996 to 2012 Jerry worked as the Managing Editor of The Examiner newspaper in Beaumont, Texas. His Bio says Jerry won hundreds of awards from the local press association, as well as, dozens of state and national awards for his journalistic reporting. During his tenure at the newspaper Jerry’s investigation of political corruption in city government was instrumental in charges being brought against the Mayor. An individual Jerry regarded as a friend. Despite no longer working for The Examiner, Jerry continues to investigate and report on local and national news stories as the Owner and Editor of Southeast Texas Investigates. 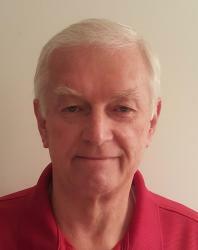 As the founder of Kickin’ the Tires, Jerry serves as the Editor-in-Chief for the website. He employs a small staff of writers to cover all three premier NASCAR circuits. His investigative skills are on display every week at the track. Jerry can be seen working the garage area, pit road, and the media center. Talking to car owners, drivers, crew members, and anyone with a story to tell. After going full-time as the main guy at Kickin’ the Tires, Jerry has grown the site to be one of the most popular NASCAR coverage pages on the web. Read his latest update on the Kurt Busch contract negotiation saga at this link. Matt Humphrey’s LinkedIn Bio lists some of his duties as NASCAR Senior Manager Competition Communications. • Coordinates driver interviews at the track with national broadcast partners and other national and local media. • Organizes and moderates news conferences that strategically guide the narrative during race weekends and provide value to stakeholders. If you work in the media and cover NASCAR you will meet Matt. He provided The Lasco Press with background information on the Kids Drive NASCAR program and is the go-to man at the track if you need a media-related question answered. Later while working at another newspaper in the Midwest, Matt again drew occasional racing reporter assignments. Covering races at Kansas Speedway and other tracks on the circuit. Matt was in Daytona to report on the Rolex 24 Hours of Daytona. Once more, that guy Jimmie Johnson popped up. Jimmie was there testing a car and gave an interview in the media center. Matt used a pop-up webcam to live stream the event and caught the attention of a NASCAR media representative. 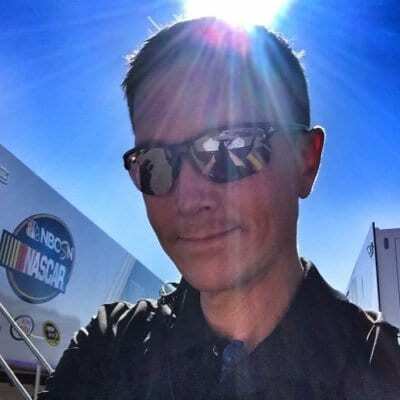 Matt was told NASCAR had a growing web presence and was asked if he would like to help them work on that aspect of their organization. The rest is history. You can tell this is a man who loves his job and loves the sport. Mr. Enthuasim is a fitting description of his approach to NASCAR media. Just ask him how important it is for NASCAR to involve young fans with the various youth programs like Kids Drive NASCAR. He responds, “We are on the threshold of another golden age in NASCAR with all these young drivers like Chase Elliott, Ryan Blaney, and Erik Jones beginning to make their mark in the sport. These are drivers young fans can associate with. This youth movement is going to be great for the sport of NASCAR racing.” You are right on Matt, just replay the races at Martinsville and Phoenix to see Chase Elliott’s contributions. Claire Lang is the hardest working person in all of NASCAR media. She hosts “Dialed In” on NASCAR Radio Sirius XM Channel 90 on Wednesday and Thursday reporting on everything NASCAR. Claire takes call-ins from listeners, interviews guests from drivers to crew chiefs to team owners. She squeezes her weekend shows around broadcasts live from the track each week. Claire is in constant motion at the track, carrying her clipboard and microphone for live on the spot interviews. Popular, yes. Claire has 62,000 followers on Twitter. As well as her legion of fans on Satellite Radio. Claire was kind enough to schedule an interview with The Lasco Press at Charlotte. Unfortunately, a rain delay upset the on-track activities and forced her to cover extra time on-air as everyone waited for skies to clear. We will try again to catch-up with Claire, we know she has some great stories to tell. Maybe we’ll try calling into her show. 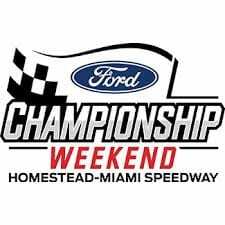 The Lasco Press is covering NASCAR’s Championship Weekend at Homestead Miami Speedway live from the track in South Florida. We will be looking for that story that you just can’t find on conventional media. Always off the beaten path, always entertaining. Again this is part two of our three-part series on NASCAR Behind the Scenes: Media Coverage. Part Three will follow our own NASCAR beat writer as he reports on Homestead and the media coverage of all three NASCAR Series Championships. Have you ever wondered what it would be like to cover a major sporting event as a reporter? Get the full “Behind the Scenes” story coming in December. Only from the Lasco Press.